Faulty Towers: The Dining Experience is now in Toronto at the Sony Centre. 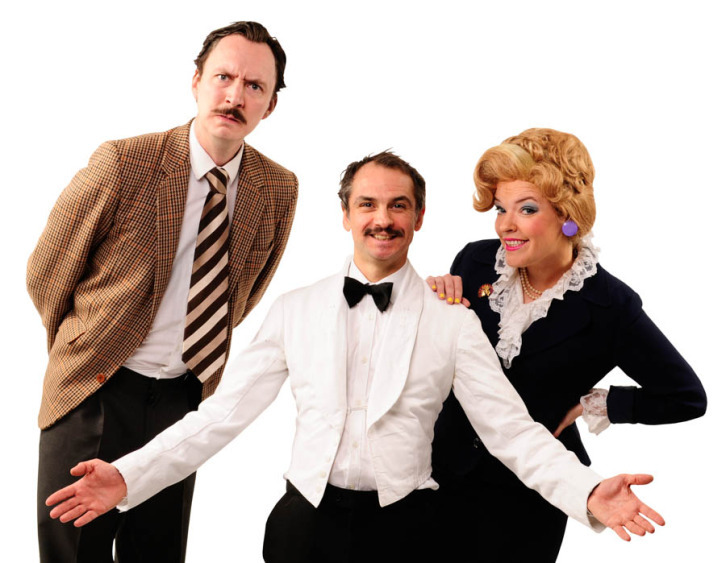 Starvox Entertainment brings to town this affectionate homage to the iconic 70’s British farce comedy TV series, Fawlty Towers, originally written by John Cleese and then wife Connie Booth. With only a third of the show scripted and featuring a cast direct from the UK, the audience is immersed in the experience with a 3-course meal at the “Fawlty Towers” restaurant. The show promises to deliver a night of hilarity and great food, where anything can happen when the audience is being served by cast characters like Basil, Sybil, and Manuel. The show offers a vegetarian option and also accommodates anyone with dietary restrictions such as nut and gluten allergies. Faulty Towers: The Dining Experience runs from now to May 10, 2015. For ticket info and show schedules, visit www.sonycentre.ca.